All Liberty homes currently listed for sale in Liberty as of 04/23/2019 are shown below. You can change the search criteria at any time by pressing the 'Change Search' button below. If you have any questions or you would like more information about any Liberty homes for sale or other Liberty real estate, please contact us and one of our knowledgeable Liberty REALTORS® would be pleased to assist you. "Horse Property! 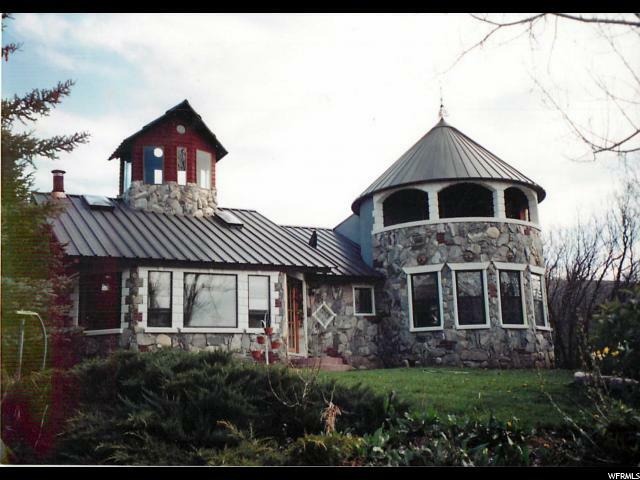 Very private 6000 sq ft home on 3.5 acre horse property situated in a quiet area of Liberty, Ogden Valley, UT. Strong floor plan, rambler with a walkout basement. 4 bedrooms including 2 master suites (one main floor)/semi formal dining, formal dining, formal living room, office (which could be easily be converted to a 5th bedroom), kitchen with granite counter tops, breakfast nook. Basement includes small master suite, large rec room with sink and cabinets, work out room, large dry storage, laundry, full bath and unfinished area with room to expand! Downstairs covered patio is stubbed for a hot tub. Large attached, finished 3 car garage, RV parking outside, large barn, 8 shares secondary water and private well! Close to Snowbasin, Powder Mtn., Nordic Valley Resorts, Pineview and Causey Reservoirs, one hour from SLC Airport. Square footage figures are provided as a courtesy estimate only and were obtained/estimate from County Records. Buyer is advised to obtain an independent measurement. " "You will never find another home like this! Sitting on nearly 3 acres, extremely private and secluded, with impressive views in every direction. Original owners and pride of ownership shows! Home features a very unique floor plan. Open layout with 2 over-sized family rooms, plenty of natural lighting, big kitchen, in-floor heating throughout, 2 turrets overlooking the property, a mechanic's dream - big detached garage with in-floor heating, solar panels which are paid for, and multiple outbuildings including a casita which would be perfect for visitors. This home could be used in many different ways, a summer or winter escape, business retreat, or your primary residence. Seller has changed access point. North Fork address is the legal description, physical address is 1929 E. 6825 N. Liberty, UT 84310. Follow North Ford Road, take a right on Durfee Creek Road, then a left on 6825 North. Home will be on the left hand side. Sq. footage per tax data; Buyer to verify all information. " "As you approach this property, you will be moved by the rugged beauty and views Durfee Creek has to offer. 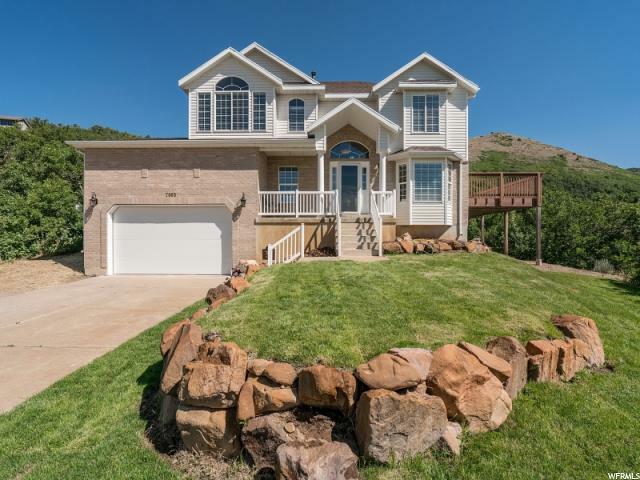 Home is situated on a private cul-de-sac at the top of Durfee Creek Subdivision with elevated expansive views across the Ogden Valley and breathtaking views of the Wasatch. Large 1.7 acre lot is surrounded on 2 sides by 55 acres of Common Area= RARE PRIVACY! Newly remodeled home has a new kitchen, appliances, paint, flooring, 2 decks, roof, new sod front and back, , 5-6 bedrooms (1 nonconforming) 3.25 BA, lots of space to spread out. Current owners have used home for an occasional weekend retreat for their families. Close to 3 Ski Areas, Pineview Reservoir, and North Fork Park only .4 mi away offers excellent skate skiing, snowshoeing, backcountry skiing, hiking, horse trails, single track mountain bike network. A rare gem and an opportunity to own your mountain retreat and to escape the crowds!" "Beautiful home on a secluded nearly 1 acre lot with trees lining the entire property. This home is located in Liberty on a quite street and is fully fenced. Inside this home you will find an updated kitchen with granite counter tops, double oven and beautiful cabinetry. Upstairs the master suite includes a large walkout to a covered patio outlooking the private backyard, and is wired for a hot tub! Make this home an oasis in the mountains. Some of the other great features of this home are the wood burning stove, sun room/mudroom, chicken coop, raised garden beds, and a large oversized shop. Between the shop and the home you will have room to park all of your cars and recreational toys. 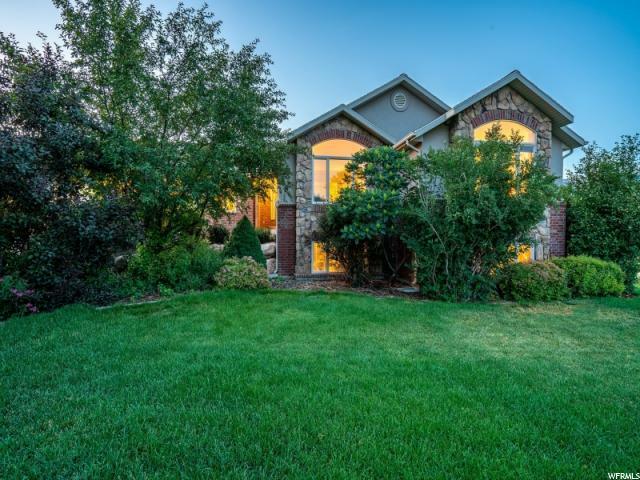 This location is near all the Ogden Valley ski resorts, golf course and Pineview Reservoir. Square footage figures are provided as a courtesy estimate only and were obtained from County Records . Buyer is advised to obtain an independent measurement. " "Clean FRESH Mountain Air. Surroundings include Hiking Trails. Cross Country Skiing, Vibrate Colored Landscapes, Nature Knocking at your Door. Ski Resorts, Pro Golf, Water Fun, Secluded Yard. RELAX REFRESH in this 6+ Bedroom, 2+ Gathering Rooms, OverSized Garage and Tons of Storage. Your place to call HOME."